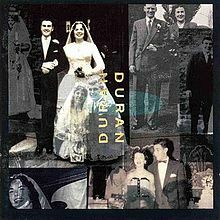 This week’s instalment of Music Monday is Ordinary World by Duran Duran from their 1993 album, Duran Duran (The Wedding Album). The Gregorian version is from their 2002 album, Masters of Chant Chapter III. It’s just a weird kind of a thing. This entry was posted in Music Monday, People and tagged covers, Duran Duran, Gregorian, music, video.